There goes the blackleg miner! Will look at the blackleg miner. To catch the blackleg miner! So, dinna gan near the Seghill mine. Of the dirty blackleg miner. And they hoy them down the pit of hell. So join the union while you may. Gateshead ‘Labour’ Council leader Mick Henry has announced £45m worth of cuts and around 394 job losses. Since 2010 the ‘Labour’ Party has made cuts of £75m and there are 1,275 less working for the council. Presumedly young people are meant to find jobs in Poundland and charity shops? The cuts will include library closures, reducing care for the elderly and ending services such as school lollipop wardens. “There are difficult choices to be made, which could mean stopping or reducing some services; or asking people to pay more; or doing things differently including working with partners and communities in new ways to support local services. For such inspiring and fighting leadership Councillor Henry receives a ‘special responsibility allowance’ (SRA) of £30,369 a year in addition to a basic allowance of £10,000. ‘Labour’ leaders like Henry blame the ConDem government for the cuts but wash their hands of any responsibility for fighting back. They have become nothing more than managers of central government policy and resources. The weak, including pensioners will suffer and kids will be put in danger on the roads outside schools. Council committee chairs receive up to £15,185 via SRAs for implementing government spending cuts in Gateshead. All councillors receive a basic allowance of £10,120 for rubber stamping this attack on the living standards of the working class of Gateshead. In former times the LP in Gateshead stood up for the working class. I am from an estate in the Felling built in the 1920s on the initiative of pioneering Socialist Labour councillors. These estates took families out of slum housing into decent living conditions including front and back gardens. The LP back then strived “To secure for the workers by hand or by brain the full fruits of their industry and the most equitable distribution thereof that may be possible upon the basis of the common ownership of the means of production, distribution and exchange, and the best obtainable system of popular administration and control of each industry or service.” In other words they stood for defending the interests of the working class and for SOCIALISM. Today’s ‘Labour’ Party is a shadow of a shadow of its former self. Instead of fighting to drag our class out of poverty as the founders of the movement did they actually cut services, put workers on the dole and in so doing INCREASE poverty. 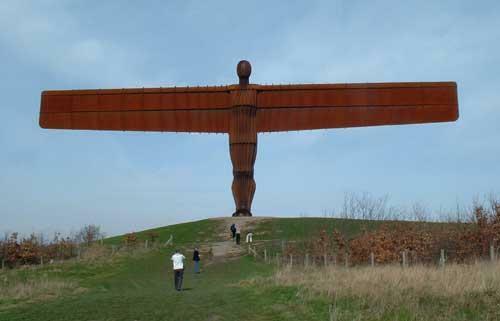 In 21st century Gateshead 9,655 or 24.3% of children are living in poverty. Some of the worst pockets of poverty are in the Felling and still the modern ‘Labour’ Party makes cuts which will throw even more kids into poverty. 25% of households in Gateshead have an income of less than £10,000. Councillors, who remember receive a basic allowance which is actually more than that miserable total income of 25% of the people they are supposed to represent are standing idly by as more poverty is piled on already existing poverty. What is more Gateshead Council itself employs 1,285 people on the notorious zero hour contracts. In their smart suits and on their generous SRA’s and allowances they fool themselves ‘it will only get better’ when the LP gets back into government conveniently forgetting that New ‘Labour’ paved the way for many of the Coalition policies being implemented today. Gateshead is an area of high unemployment, child poverty, low wages and debt, yet the ‘representatives’ of the working class are on salaries far removed from the reality lived by the majority in the borough. The Council leader trousers £40,000 + a year while the local MP ‘earns‘ around £64,000. Is it any wonder that local ‘Labour‘ leaders convince themselves they can do nothing to stop the cuts as that would mean fighting for principles and mounting a campaign by standing shoulder to shoulder with the Trade Unions against the ConDems. Such a course of action would put their careers and salaries at risk. How many ‘Labour’ councillors and MPs would be prepared to do that today? Truth is the ‘Labour’ Party isn’t Labour any more. They do not represent the interests of the working class today. In the fight against the cuts and poverty they are as much use as a chocolate fire-guard. Time to step up the campaign against the cuts in Gateshead which includes the fight for a new party of the working class.